"In theory it's possible for a government to launch a 51% attack." Bitcoin could simply be usurped by other coins. A member of the FAANG club might launch its own coin. Don’t forget quantum computers, spam attacks and market collapse. Bitcoin is "the most durable currency for a nuclear war," cryptocurrency pioneer Charlie Shrem infamously declared on January 23. His statement was met online with a predictable flurry of criticism and scepticism, yet it raised an interesting question: what could realistically destroy Bitcoin, given that it has never gone offline or been hacked since its birth ten years ago? The 51% attack has now entered folklore as perhaps the most damaging threat Bitcoin (or any other proof of work cryptocurrency) could face. And as Prof. Matthew Green of John Hopkins University tells Cryptonews.com, such an attack could potentially be spearheaded by the US or Chinese government, especially given that most of Bitcoin's hashing power is based in China. "In theory it's possible for a government to launch a 51% attack," he says. "If a government like the US or China decided they wanted to hurt Bitcoin, they could either rapidly shut down a lot of mining power so that they control a majority of what's left, or they could deploy new hashpower that takes over the network. " Green doesn't regard a 51% attack on Bitcoin as especially likely though, due to the enormous expense involved. That said, Nicholas Weaver from the University of California at Berkeley points out that this expense is actually decreasing. "Bitcoin in particular is nearing a danger point: there is a lot of "off" mining capacity, and any further erosion in price and you'll have more 'off' capacity than 'on'," he tells Cryptonews.com. "Now that mining may not be cost effective for mining bitcoin, but it may be rentable for attacking it." "The thing to keep in mind is that 51% attacks, while they're terrible and undermine confidence, basically just allow double spending," says Green. 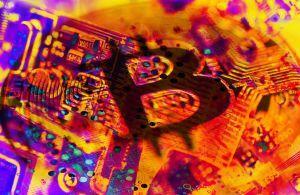 "This is really bad for merchants and exchanges, and in the long run it could make Bitcoin unusable. But it doesn't allow the attacker to, say, steal everyone's coins. And the cost of a rollback goes up as you go farther back in time." "Bitcoin does have a really strong community, and it has some exciting things happening with payment channels (Lightning Network) that could make it a lot more useable," Matthew Green – an advisor to Zcash – explains. "On the other hand, there is a bit less willingness to implement major technical upgrades to the network, which makes it hard for me to see Bitcoin's blockchain scaling to billions of potential users, even with LN." "You could also say the same about other currencies, but some have different attitudes towards major technical changes – and I suspect that's what will matter most if cryptocurrency ever sees mainstream adoption." “At the moment I can't see how Facebook could scale anything to its userbase, while still being meaningfully decentralized. So one possibility is that this will end up more like a traditional bank account, and won't compete head on with decentralized currencies like Bitcoin." One is quantum computers, although Matthew Green suspects that the crypto community will keep pace with developments in this area. "We'll see quantum computers coming before they attack Bitcoin," he says, "and there are post-quantum cryptographic algorithms that could conceivably be deployed before that happens." There are also spam attacks, which have reportedly been a problem in the past for Ethereum, for instance. As Nicholas Weaver explains, "For a reasonable budget you could make it so you can't transact a cryptocurrency at all, because the attacker is sending so much spam that the network ends up installing spam filters, and then the attacker tunes the spam so that the spam filters have false positives." "Cut off the banking from the remaining exchanges, throw the people <...> in jail for violating money laundering laws, and so much of that house of cards will finish collapsing because there is no way to effectively trade," says Nicholas Weaver.